A better world NGO supports excellent social projects in Nepal, which are organized by trusted, local social entrepreneurs. I am a passionate person that has a drive for making other people’s lives a little bit better. Even though I grew up near by the sea on the west coast of Norway, I have developed a deep passion and love for the mountains. My passion for the mountains brought me to Nepal and the Himalayas, where I have experienced a lot of great moments together with the people living there. The Nepali people are amazing. They have a way of living that I admire over everything in this world. It is not easy to live in Nepal that is one of the poorest country in the world. According to the world bank is 25% of the population impoverished and unemployment is 50%. I have 20 years of work experience behind me from the corporate environment in Oslo, Norway. I have a passion for business to and love to develop good and creative business ideas into useful products and services. In 2013 I left my job and went on a sabbatical in Asia and Nepal. Halfway through my sabbatical I came up with the idea to combine the experience I had built up through 20 years of work in Norway, with the experience I had gathered under the sabbatical in Asia and develop a business where I can help some Nepalis have a better future. I started on developing a trekking concept where I take guest with me to less touristic areas in Nepal and let them experience the beautiful nature, the open and friendly people that is living in the small remote villages in the mountains and the special culture you find in the Himalayas. From the day I started to work on the idea has my intention been to give back $115 USD/1.000 NOK per participant on the trek to a social project in Nepal. In the beginning was my idea to donate it to a foundation that specializes in building schools in Nepal. In April 2014 I attended on an Everest Expedition with the attempt to climb to the top of the world, when the climbing season was closed due to an avalanche that killed 16 climbing Sherpas. In April 2015 I went back on an Everest Expedition, and I was in my tent in Everest basecamp on April 25, when an earthquake hit Nepal with the magnitude of 7,8. This day in Everest Basecamp changed my life forever. I realized that I had to be closer on the social projects I was involved in, and went home to Norway and founded the A Better World NGO with good help from friends with solid business backgrounds who volunteer’s as board members. April 25 2015, is day I will remember for the rest of my life. I am in my tent at Everest Base Camp getting ready for the first acclimatisation rotation up to Camp I and Camp II on an Everest expedition when suddenly the ground starts to shake underneath me. The ground continues to shake violently. The ice of the glacier underneath my tent begins to crush under the pressure. I am afraid that the glacier will break up. Fortunately, after what seems like one minute, the shaking finally stops and I realize that I have experienced an intense earthquake. A devastating disaster has hit the country that I have learned to LOVE so much. I know immediately that I have to stay behind in Nepal to get a better overview of the situation. For the next two months, I travel around Nepal checking out the situation in the earthquake-damaged areas, talk with friends and people affected by the damage and work to figure out the best way for me to help with rebuilding Nepal. It is clear to me during my stay that the best way I can help our friends in Nepal is to use the models I have learned in business and use them to fundraise in order to rebuild schools, especially in rural areas. I get up early in the morning to catch the morning bus from Kathmandu to Dhading Besi. But it isn’t until I am well onboard the local bus that the sound of Nepali music wakes me from my slumber. The bus is packed with people, groceries and animals as local buses in Nepal normally are. I meet my friend and guide, Babu, at the bus station in Dhading Besi, where we plan to catch a jeep and drive six hours to the upper part of Dhading. We are on our way to the small remote village called Sertun in the Ganesh Himal region to have a look the damages to the schools. Upon our arrival, we discover that all of the jeeps have already left the city for the day, so we must catch a ride with a truck that is driving to the end station called Darkha Pedhi, where we will start our trek up the valley to our end destination of Sertun. The roads are difficult to drive on and are very bumpy. The truck breaks down two times on the way. I start to think about the consequences the damages to the schools will have on Nepal and how much help they will need to rebuild the 4,000 schools that were damaged in the earthquake. Four thousand schools is a lot of classrooms! After six hours of driving on crater-filled roads, we finally reach Darkha Pedhi. My guide, Babu, and I have breakfast before starting on our ten-hour walk to the destination point for the day, a village further up in the valley called Sertun. It is a beautiful morning on the path we are walking along on the hillside. The murmur of the river breaks through the silence below us. We are in a remote area in Nepal, and the villagers are not used to seeing tourists. I sense their friendliness through our eye contact and the smiles that we exchange. The children are absolutely gorgeous. I do not know how many times I reply with “Namaste” (“Hello”) on this trip to the children I meet on the way. Some of them are far, far away down in the rice field screaming “Namaste” until they receive an answer from me. We reach Sertun in the evening after dark. It is now raining and the guesthouse in which we are planning to spend the night is empty and dark. It has been so damaged from the earthquakes that it is no longer habitable, and the owner is now living together with her daughter-in-law nearby outside under a tarp. Babu and I spend the night together with them in their temporary home. This is when I decide to found A Better World NGO, and I decide to start fundraising money to rebuild a Primary school in the neighbor village Abigaun. We are four strong independent Norwegian businesswomen with, almost 100 years of work experience between us from the corporate world in Oslo, Norway. We have made a decision that it is time to use our competence to do something good for the world, so, together, we have founded A Better World NGO, a non-profit organization to fundraise money to support social projects run by young social entrepreneurs in Nepal. The business world in Norway and Nepal is very different; however, one thing we do share is a common goal to make the world a better place for some of the people in need in Nepal, through giving financial support to well organized social projects. We will use our competence from project management, compliance, accounting, procurement and strategy work to build and govern A Better World NGO. Although we have a great deal of Western world experience, we remain humble toward the local experience our partners in Nepal have and believe that the success criteria for our work will be to combine the two ways of working into best practices. In 2013, Ingvill needed a break from business life in Oslo and decided to quit her job as a procurement manager in a bank so that she could travel for one year in Asia. This journey changed her life dramatically. She started her journey by teaching English at a monastery school for underprivileged children in Myanmar. Later, she ended up in Nepal, where she stayed the maximum amount of time allowed on her tourist visa. 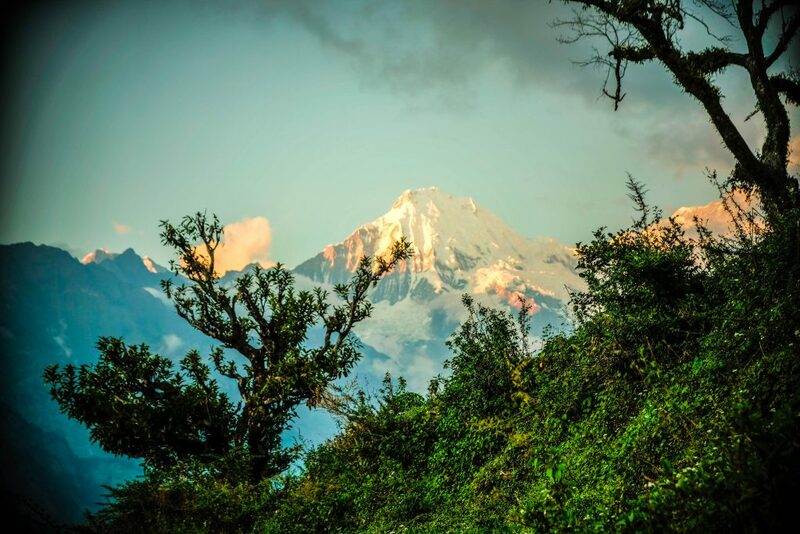 Ingvill visited Nepal so she could live out her passion for spending time in the mountains. She also worked as volunteer at the children’s burn unit at a hospital in Kathmandu. Ingvill has returned to Nepal many times since then and was on an Everest expedition in 2015 and at Everest Base Camp when the earthquake hit Nepal on the 25th of April. In the future, Ingvill wants to dedicate her time to projects that create workplaces in Nepal and also to rebuilding schools and local communities in rural Nepal. She holds a Master in Business and Economics from Norwegian Business School(BI). 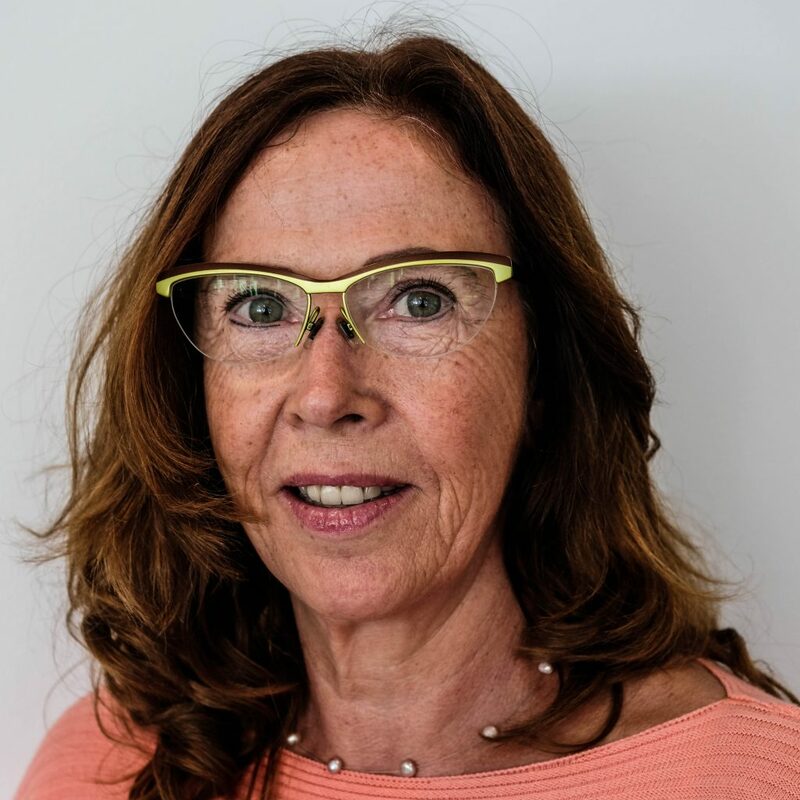 Liv Kierulf Næsguthe is member of the A Better World NGO board since 30.06.2016. Liv holds bachelor’s degree in finance and administration and is head of business control for the Norwegian branch in Swedbank. She is also a registered NLP-coach and mindfulness instructor. She practices yoga regularly and has with keen interest followed Ingvill on her journey with Live A Life In Motion and A Better World NGO. 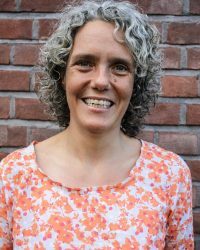 Heidi’s good relationship with and admiration for Ingvill and her efforts to help people in Nepal brought her into the position as a board member in A Better World NGO, a position she has taken on with pride and humility. Heidi has worked for different companies within the finance sector since 1988. She holds a law degree from University of Oslo and an MBA from Norwegian Business School (BI). 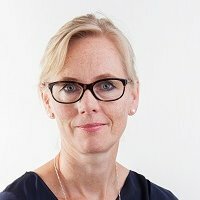 Since 2012 she has held the position as Head of Compliance in a Norwegian asset management company, Arctic Fund Management. After graduating from school, Åse took a break from her everyday-life in Norway and went travelling around the world. This became the start of a fascination for, and curiousness about, other cultures and countries and their definition of an everyday-life. Throughout several budget travels the last 15 years, she has experienced a taste of the day-to-day life around the world and has learned how few differences exist in dreams and goals, regardless of people’s cultural and geographical background. 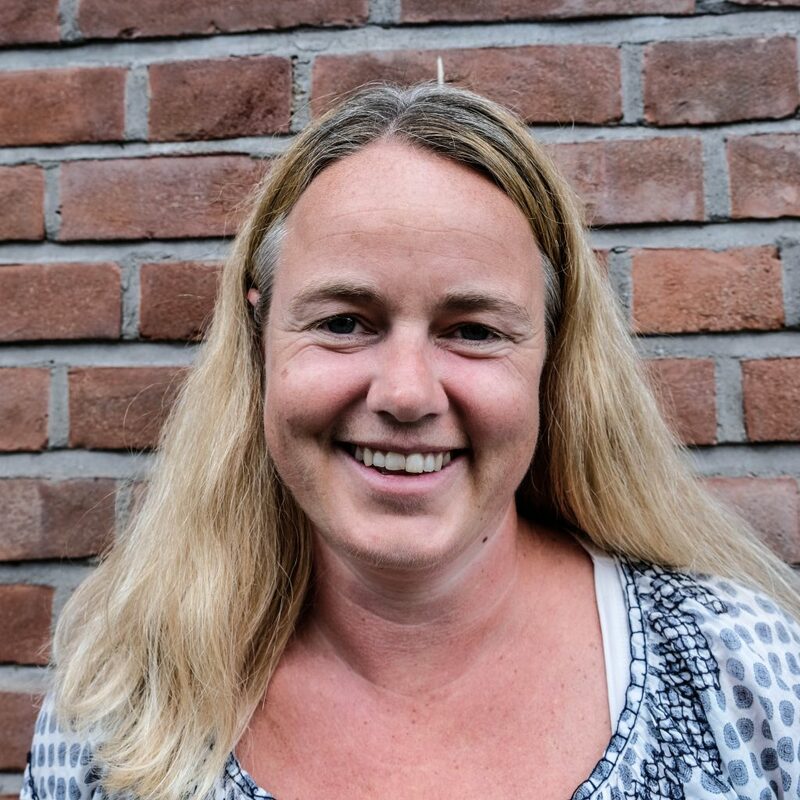 When meeting Ingvill through mutual friends, Åse came to know Ingvill’s passion for Nepal its people, as well as her goals of making a difference in the everyday-life of the Nepalese people. Åse joined as a board member of A Better World when Ingvill founded the organization. Åse holds a degree from Telemark University College (Bachelor of Accounting and Auditing). She has more than 15 years of experience from auditing small- and medium-sized businesses, as well as organizations and other non-financial businesses. Our model for our fundraising is simple – to ensure that the money we raise through organizing events, treks, selling T-shirts and from donations goes to the project. 100% of the profit from the events, 100% of the donations, $10 USD/ 80 NOK of each t-shirt that is sold and $115 USD/1.000 NOK per participant on the treks in Nepal goes directly support the projects we are involved in. What Nepal lacks in material wealth, it makes up for in the resourcefulness and empathy of its population, who are highly motivated to help their fellow countrymen in need. The passion the Nepali people have for making a difference for others is amazing. They dedicate many hours per year to social work, working patiently to figure out how they can make everyday dreams like education, clean water, power supply and healthcare become a reality for as many people as possible. So far, there are many more people with everyday dreams than there are resources to fulfill them. We want to close this gap. Our fundraising goal is to fundraise minimum $42000 USD/350000 NOK that equals the rebuilding of 3 classrooms on the primary school in Abigaun. Ideally we hope to fundraise $60000 USD/570000 NOK. We have fundraised $23500 USD/200000 NOK so there is still some work to be done before we reach our goal. – Buy a Happy Heart Universe t-shirt made in Nepal. We donate $10 USD/ 80 NOK of profit from each t-shirt sold to a social project sponsored by A Better World NGO. Buy a t-shirt HERE. – Come with us on a trek to Nepal. $115 USD / 1000 NOK per participant on the trek will be donated to a social project. You can read about the treks HERE, or send an e-mail to Ingvill@livealifeinmotion.com to get more information. Ram Sapkota is one of Nepal’s amazing social entrepreneurs that I admire deeply. The work he does to support the school and health sectors in the rural areas is truly remarkable. He also made a tremendous effort to help the earthquake victims in the remote villages after the earthquake in April 2015. I will never forget when I entered Ram’s office in the beginning of May 2015, a week after I returned back to Kathmandu from my Everest expedition. Ram had just returned from his village and the surrounding areas, where he provided food and tents for 3,500 people. On this day in early May, he was back in his office in Kathmandu full of energy and busy with planning the next big project that needed to be done before the monsoon season started to provide tin metal sheets for the roofs of the temporary houses for an area that contains 2,000 households. Ram is well known for his work as a social entrepreneur in Nepal. He won Surya Nepals award for his work as a social entrepreneur in 2011, and Change Fusion Nepal’s prize in 2013. Ram’s for-profit company is Mountain Delight Treks & Expedition. His non-profit and non-governmental organization (NGO), Tukee Nepal Samaj, is the entity through which he runs his social projects for the rural communities. Tukee Nepal Samaj will be our local project partner. The founder behind Build up Nepal the Swedish social entrepreneur Björn Söderberg and myself share a big passion for Nepal and have a wish for making the lives a little bit better for some of the people in Nepal. Björn founded Build up Nepal after the earthquake in April 2015, and he has been living in Nepal for over 10 years. Build up Nepal works as an implementation partner for organisations that want to rebuild and develop their villages, but do not have the construction and rebuilding expertise. Build up Nepal also runs their own projects in different villages where they have been active from before. 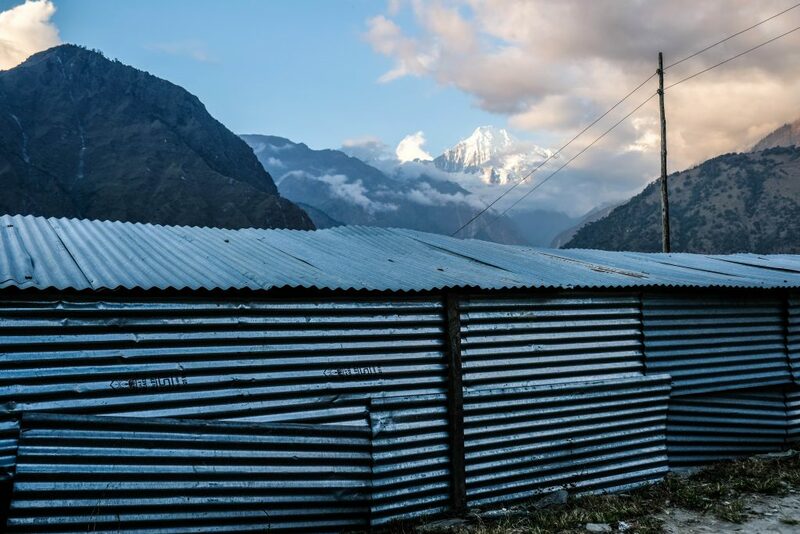 Build up Nepal has a purpose to not only help rebuilding villages after the earthquake. They also aim to create new workplaces in the villages where they have projects, through teaching local villagers in the construction work. Their ambition is that these villagers start their own business and become entrepreneurs. Build up Nepal has looked to other areas that have been affected by a large earthquake, for example Iran, and has implemented earthquake improved building techniques from these areas. Build up Nepal will be our partner on the construction part of the projects.